In my experience, Americans have a love-hate relationship with seltzer. Some love the effervescence and refreshing taste. For others, it’s too fizzy and not nearly sweet enough. Although a fan myself, I had not given seltzer too much thought until fairly recently when I encountered it here in the archeology lab. A collection of stoneware mineral water bottles excavated from the Cove House site at Gateway National Recreational Area inspired me to explore the history behind the carbonated water we know as “seltzer.” And that history, it turns out, is pretty fascinating! German stoneware mineral water bottle fragments from Cove House archeology collection, Gateway National Recreational Area. (Image source: photo by Norm Eggert for NMSC). 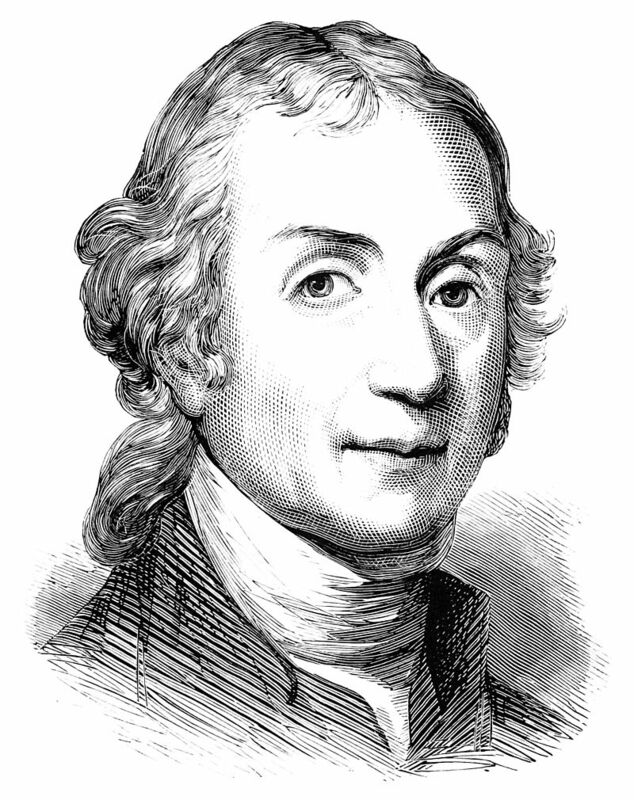 Joseph Priestly. Image found online via Wikimedia Commons (See References). Did people in the 18th and 19th centuries simply love the taste and refreshing quality of carbonated water? Perhaps, but what they primarily sought in natural mineral water was not a tasty drink, but rather a cure for a variety of physical ailments. In an era in which many people were suspicious of doctors and medicines (both of which seemed often to hurt instead of heal), natural mineral water offered potential relief that, if not always completely effective, was at least not harmful. 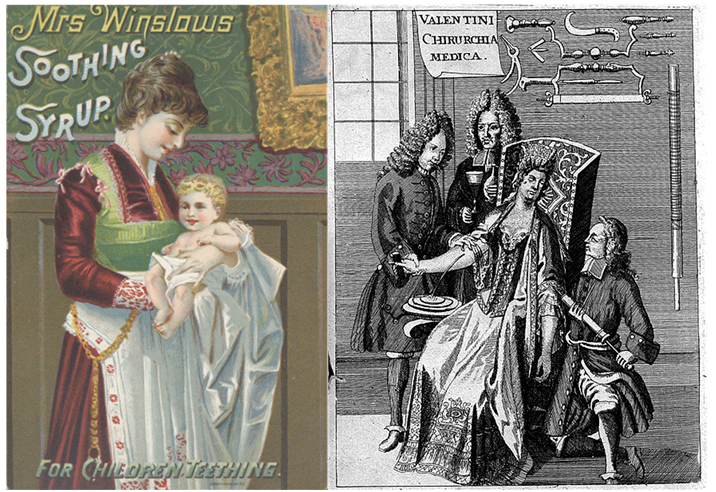 Throughout the 19th century, pharmaceutical companies were not required to label their products with a list of contents, so well-meaning consumers often had no idea what “medicines” they were actually using or giving to loved ones. Most products contained dangerous and highly addictive ingredients. Even “cordials,” “preservatives,” and “calmatives” recommended as daily tonics for babies were usually made from opiates and/or alcohol. Historian Ruth Goodman notes in her book on Victorian life that “it seems likely that many babies died from the side effects of medicine, and that many others had their long-term health undermined ” (Goodman 2014: 248). She asserts that “much of the popularity of the water cures of the nineteenth century was due to their providing an alternative to taking these drugs” (Goodman 2014: 283). Given the options offered by the pharmacist – and procedures like bloodletting that were still commonly prescribed by early 19th-century doctors – I might have opted for the mineral water as well. So, did it work? Mineral water has remained popular in many countries and has recently experienced a revival as part of the alternative medicine field. It has long been held that certain of the minerals and elements in the water can have beneficial effects on specific ailments. In the 18th and 19th centuries, people may have indeed noticed improvements to their health after drinking it because the water provided minerals missing from the typical diet. Still today, some people claim that drinking carbonated water can help with indigestion! Perhaps some people benefitted from actual improvements in their health due to the trace elements and minerals; perhaps some benefitted from the power of positive thinking amidst all of the hype. Either way, lots of people were in on the craze. Some of the mineral water bottle fragments from the Cove House collection exhibit the light color characteristic of mid- to late-18th-century vessels. Most of the bottles appear, based on their shape, color, and stamps, to be from the early to mid-19th century. The “HN” on the partially reconstructed bottle from the Cove House stands for Herzgothum Nassau, which translates to Duchy of Nassau, and refers to the independent German state of Nassau which was formed in 1806 and was annexed by Prussia in 1866. We suspect that the “EMSER KESSELWASSER” refers to a town or spring name. Another bottle fragment from the Cove House is stamped “BAYERN KOENIGREICH,” which translates to the Kingdom of Bavaria, which existed from 1806 to 1918. The “KISSINGEN” stamp refers to the name of the spring from which the water was extracted. The many maker’s marks, inscriptions, medallions, letters, and numbers present on these bottle sherds undoubtedly have much more to tell us than what we have covered in this brief post. Intrigued? We hope so! 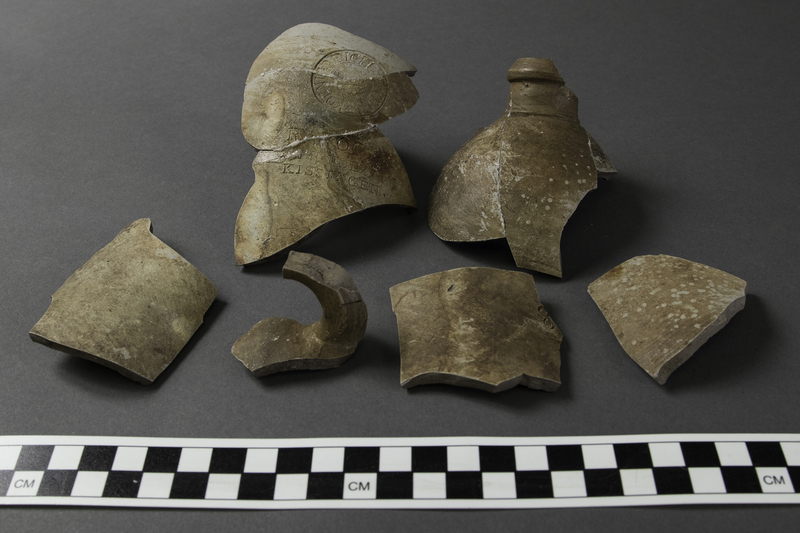 This is just one example of a National Park Service archeology collection with incredible research potential. Maybe you are just the person to dig a little deeper! What we do know is that these bottles represent more than a preference of taste for the men and women who bought and drank from them so many years ago. Mineral water was consumed – sometimes in spite of its taste – because of its supposed medicinal qualities. Chances are when you pick up a bottle of seltzer at the supermarket, you’re not expecting it to cure you of nervousness, fever, or rheumatism. For many people who drank mineral water from these old stoneware bottles, that’s exactly what they were expecting, or least hoping for. We all know what it’s like to feel unwell and to hope for relief from pain or discomfort. For 18th– and 19th-century folks, these bottles offered a chance to feel better. Adler, Beatrix. Early Stoneware Steins from the Les Paul Collection. Germany: Dillingen/Saar, 2005. Back, William, Edward R. Landa, and Lisa Meeks. Bottled Water, Spas, and Early Years of Water Chemistry. Ground Water Vol. 33 No. 4, 1995, pages 605-614. Erfurt, Patricia J. An Assessment of the Role of Natural Hot and Mineral Springs in Health, Wellness and Recreational Tourism. Thesis, James Cook University, 2001. Goodman, Ruth. How to Be a Victorian: A Dawn-to-Dust Guide to Victorian Life. London: Liveright, 2014. Hemming, John, MD. The History and Chemical Analysis of the Mineral Water Lately Discovered in the City of Gloucester; the Various Diseases to Which it is Applicable Considered; and the Necessary Regulations for Drinking it With Success Ascertained and Prescribed. London: A. Grant, 1789. Skerry, Janine E. and Suzanne Findlen Hood. 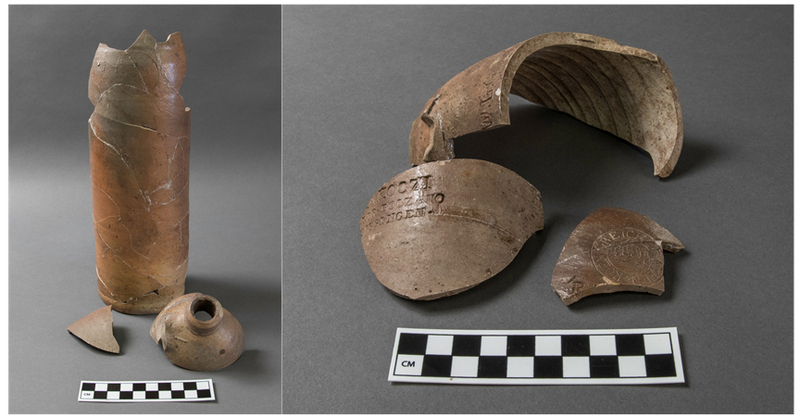 Salt-Glazed Stoneware in Early America. Williamsburg, VA: the Colonial Williamsburg Foundation, 2009. Southeastern Archaeological Research Inc. Underwater Archaeological Investigation of the Roosevelt Inlet Shipwreck (7S-D-91A) Volume I: Final Report. Prepared for Delaware Department of State and Federal Highway Administration and Delaware Department of Transportation, 2010. Bottle, ca. 1770. Recovered from Roosevelt Inlet Shipwreck Site. Courtesy of Delaware Division of Historical and Cultural Affairs. Image found in Skerry and Hood, page 55. Jessica is a Museum Specialist in the Archeology Program at the Northeast Museum Services Center/National Park Service. She majored in history as an undergraduate at the State University of New York at Geneseo, and has a master's degree in historical archeology from the University of Massachusetts-Boston. She is particularly interested in 18th and 19th century American history and material culture. So glad you enjoyed it! Thanks for reading! Hi Jessica, this is such a great read and very informative. My friends recently found a stoneware bottle while diving. I was wondering if you could help me figure a few things out. The bottle doesn’t seem to have many markings on it besides the No. and a large serif “N” below the number. Usually I’ve seen lettered markings above the No., but they were carved in the same font and size as the number markings. I’m not totally sure what the number mark implies and I think the N is a monogram. I would really appreciated your knowledge and input. And thank you for your time to write this post as well as read my comment. Cheers!